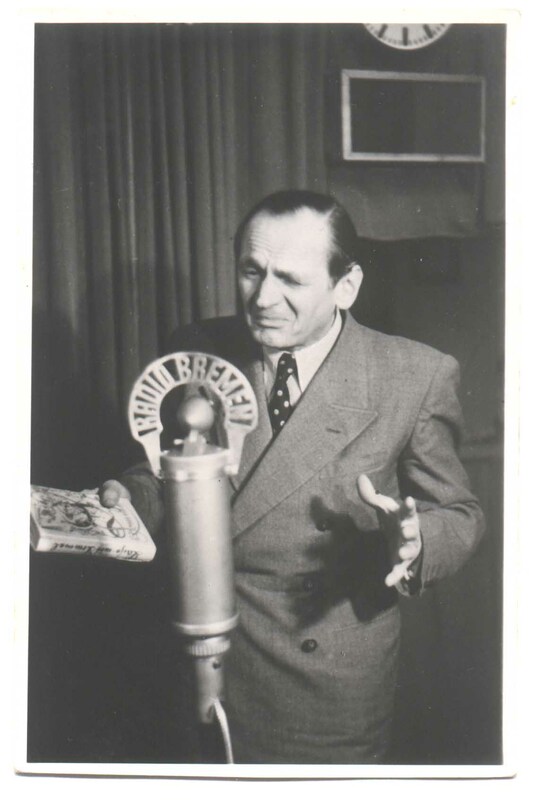 I've got mp3's of the red marked recordings! 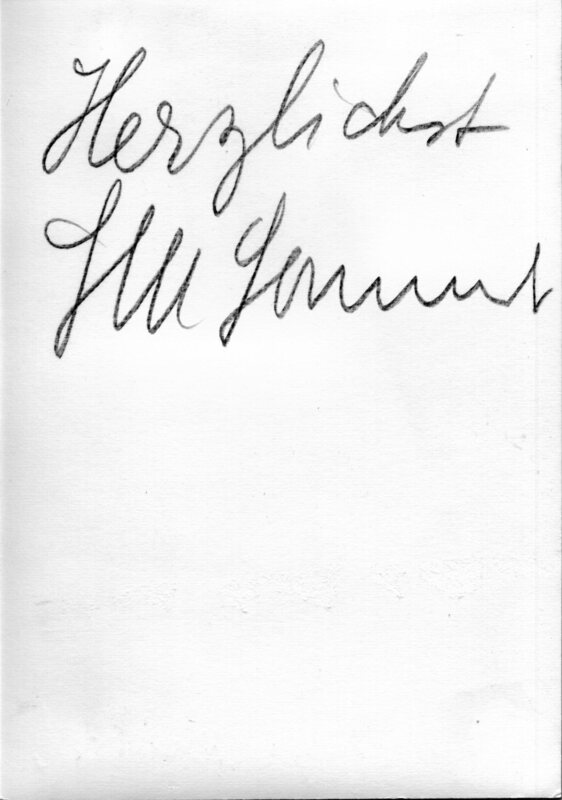 * These recordings I've got from Ulf Graupner. Thanks a lot! 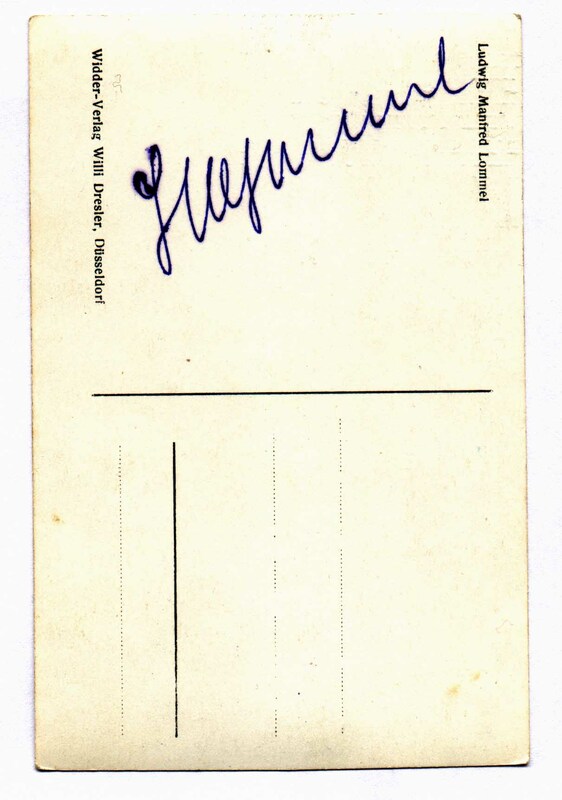 ** This recording I've got from Ulrich Mayer. Thanks once more! 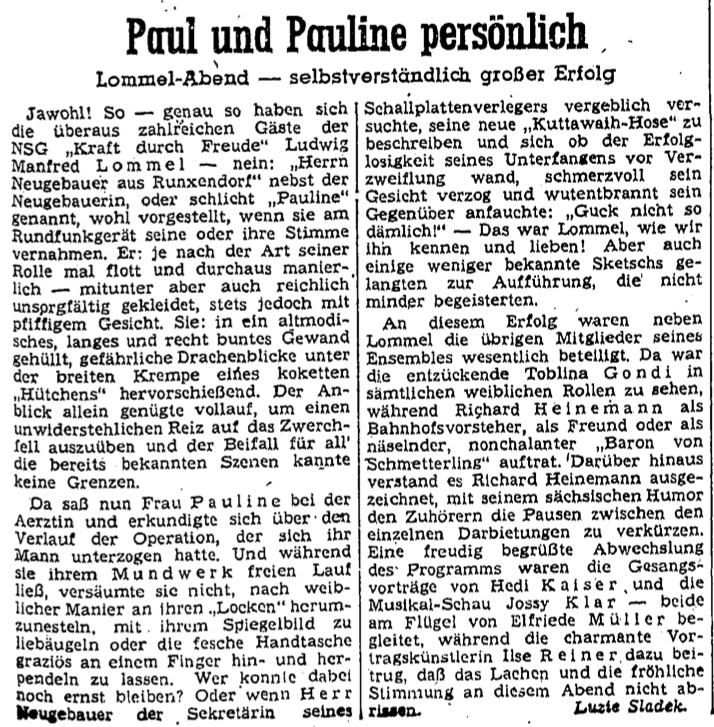 "Paul und Pauline Neugebauer machen eine Radpartie"
You cant see all three sheets here. This sheet is owned by me. This card is owned by me. This edition is owned by me. 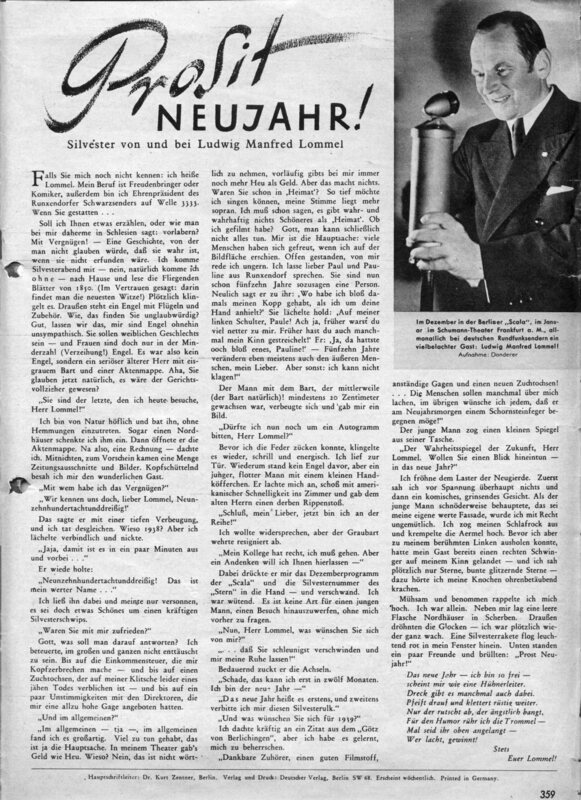 An edition of the magazine "Illustrierter Filmkurier" (No. 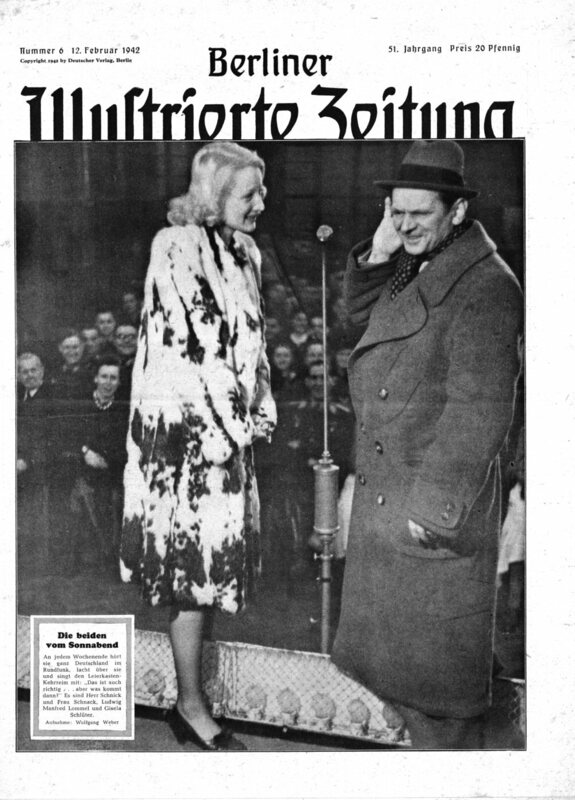 2463): The Film "Paul und Pauline"
This magazine is owned by me. 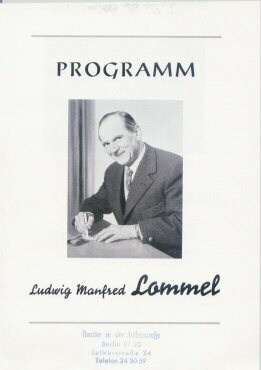 A short german article from the newpaper "Schlesische Nachrichten" about Ludwig Manfred Lommel. 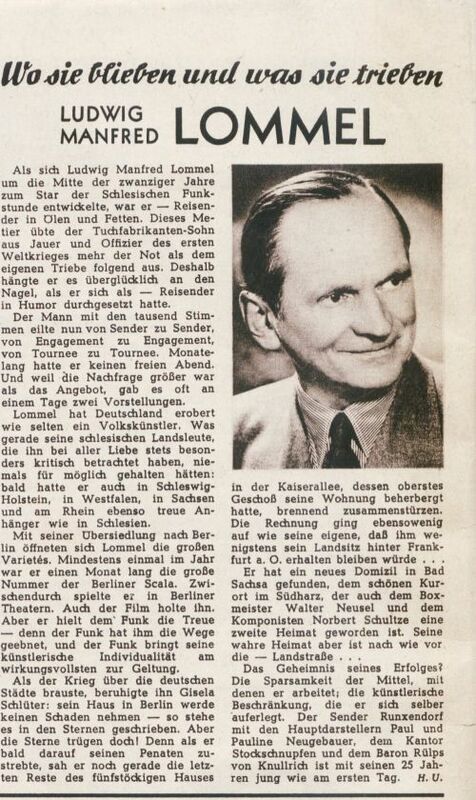 A german article from the magazine "deutsche Radio-Illustrierte" about Ludwig Manfred Lommel. 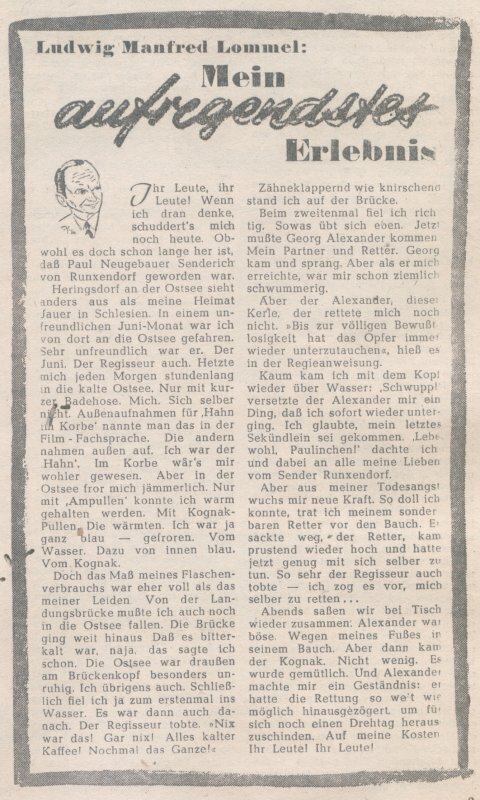 A german article from the magazine "Der oberschlesischer Wanderer" about a showcase in Gleiwitz in 1944 with Ludwig Manfred Lommel and other actors of his time. With thanks to Gregor Olawsky for his favour.